We’ve recycled this many of each of these items & more! Willing to help sea otters & our oceans? Contact us (info@seaotterfoundationtrust.org) if you’d like to establish your facility or organization in the program. Snack chip bags like Fritos, Doritos, Sun chips, etc. 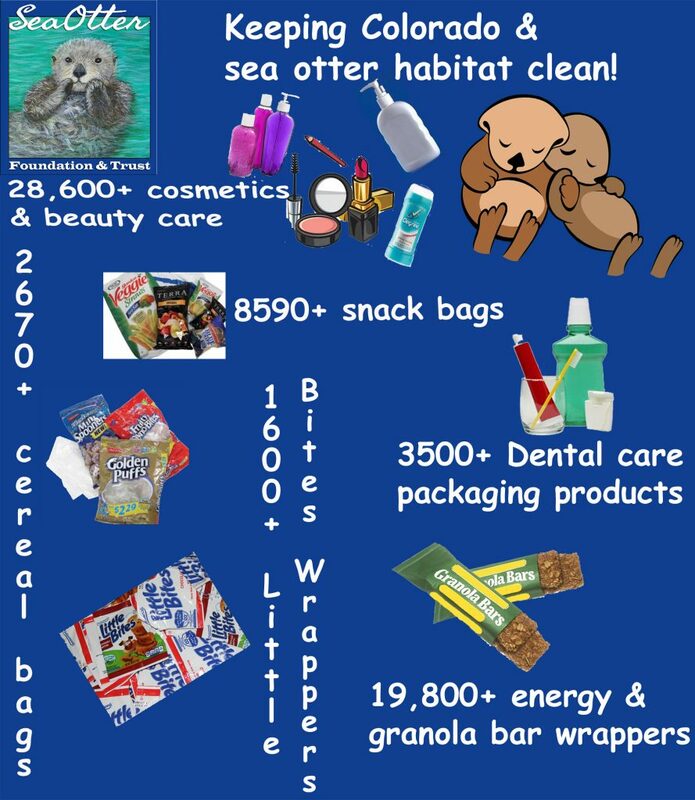 If you have questions regarding how you can develop a collection site for these difficult-to-recycle items benefitting sea otters & SOFT, contact us: info@seaotterfoundationtrust.org. Special note: the ability to participate in this program as a collection site requires the ability to store 2-8 pounds of recyclable materials.